Externally, robots look like messengers from another planet. Dot is by no means a modest robotic design. It seems that I have in my hands a reduced module from Portal. At the top of the Dot are programmable buttons. In the middle is the eye to detect other robots, around which there are 12 brightly lit LEDs. On the sides of the robot, there are 2 luminous mounts for accessories, with which you can change the appearance, for example, by dressing the robot with a bunny. The lower part is reserved for the speaker, hiding under the orange perforation. And behind the robot are the power button and a micro-USB output. Having turned on any robot, first of all, we hear how joyfully it greets us. This is the most friendly gadget I have ever used. The main thing in this robot is a response to the commands that you give him, although without them he will find something to do. Writing a command is simple – there are 5 applications available from Wonder Workshop in AppStore PlayMarket-e. Their peculiarity is the combination of learning and playing. Let us analyze them all in order and we will begin with the simplest, having the code name “Xylo”. To work in this application we will use a xylophone. Taking it out of the box, we connect it to the robot and compose music in the “Xylo” app. For example, let it be jingle bells. Press the play button and the robot automatically starts playing and dancing. Take hot cocoa and enjoy the fruits of your creation. The child learns the feeling of rhythm, and if he plays himself, then the flexibility of the fingers. For children, it is more convenient to study in pictures, and the interface of the “Wonder” application has the most for this. Training is available, both with the Dash robot and with the Dot robot. The “Wonder” program allows children to learn the basics of programming in the format of games and quest tasks – something that children already love to do. The application also has a merit board on which achievements are displayed. The following application is “GO”. In my opinion, the application is more entertaining in nature – here you can take a ride and scare the neighbors with a dog bark. The program has a convenient interface for remote control of the robot and a number of pre-set commands. You can record your voice into the program, which is automatically transmitted through the dynamics of the robot. With the help of “GO”, you can also change the color of the LEDs, ride through the rooms in search of treasure, or make a police robot. The application “Path”, like “Wonder”, will take care of a pleasant pastime in the format of quests. You expect exciting tasks where the robot will go through the established route. You set the route yourself by setting obstacles in the way that our fearless robot Dash will have to face. Accessories, such as hare-ears for traveling along burrows or a special bulldozer bucket to overcome obstacles, will be useful here. And in my opinion, the most interesting application is “Blocky”. It teaches Scratch-based graphical programming and has a free platform for improving command writing skills. The application has already pre-installed programs, including which you can study building blocks or play hot potatoes. But it is better, of course, to learn to programme with the help of puzzles, which describes each step and the necessary tasks to complete the task. After completing the training, you can go to your project, where everything depends only on your imagination. Both robots respond to actions with 3 microphones. In case someone speaks in the room, the robot will immediately pay attention to the sounds and support the conversation. For a more precise orientation in space, the robots are endowed with 4 IR transmitters to avoid collisions and 2 IR detectors of robot detection. In case the robot stumbles upon a wall, a notification will appear on the screen with a request to push or replay the task. On the head of the robot are programmable LEDs and buttons. One of the Dot buttons gives you the opportunity to feel like a real DJ, and the other will allow you to ask a question to the prediction ball. Dash reacts differently – he can move into a dance, or leave the room altogether, whistling his favorite tune. Dash robot has 6 points for attaching accessories, and Dot has 2 points. In the expanded set of Wonder Pack Dash & Dot, in addition to two robots, there are fun accessories that will help diversify the gameplay. The most melodic is the xylophone that Dash loves to play, or you yourself. You can decorate the robot using accessories such as bunny ears, a tailor special mounts for Lego. The catapult and tow hook extend the functionality of the robot, allow you to overcome obstacles, invent new ways of playing and other interactive tasks. Bucket for bulldozer is an excellent find for advancement in quest tasks. 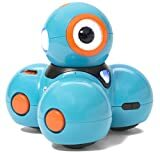 Robot Dash is designed to teach programming the most accessible for children of primary school age, but is it worth the money? We spent a couple of months with the children to understand it. Learning programming is now as much a part of your children’s education as dividing, multiplying, conjugating verbs, and rhyming Henry VIII’s six wives (or, at least, should be). Along with programming learning applications such as Scratch and Swift Playgrounds, we saw physical robots, toys, and systems that help bring the program code out of your computer or tablet. Wash Workshop’s Dash robot designer is one of the last I’ve seen. It focuses on children aged 6 to 11 years and is a six-inch tetrahedron of spheres, which merrily rides on three wheels under each of its body parts, and on top is a head that can move independently. His head and body are equipped in abundance with lights that you can control. A robot can see, hear and speak in a limited set of phrases. Control is carried out through five applications for iOS or Android, and three key options are also available for FireOS — useful if, like me, you bought your Amazon FireHD children’s tablets so that children can leave your iPad alone. All applications include tutorials that will help your children (and you) learn how to create more and more complex programs before discovering the need and all the possibilities for programming directly. There are many reasons why your children can benefit from adding a “real world” component, such as Dash, to their programming interests. They may find that learning and programming something that physically responds is more interesting than just working with abstract data and applications. Robot designer Dash feels more real than a digital character – likable and more attractive. This is facilitated by his ability to turn his head to the place where your voice comes from – if he, of course, is programmed to do so. So it seems that he looks at you and listens. Dash also helps and tells you how to control it through the program. Most child-oriented coding tools include character programming to move, either as an action or as a reaction to certain (external) events. With younger children, it can be difficult to see the virtual world in which his characters live in terms of the current character. For example, to understand whether they should turn left or right. In the real world, they can just stand behind Dash and figure it out. The physical toy also helps children better understand what programming is. As in the case of algebra and higher mathematics, studying the code is more explaining to the children the correct mental models of how it all works, than studying specific programming languages – so young coders are ready for further study when they already have a basic understanding of how a technology works. Dash is a cute pyramid of spheres with a head that can move independently. Turn it on – after charging via USB – and he dances happily, releasing a little “ooh” and “ooh” as he walks. His Cyclopean eye has 12 white LED segments that can be turned on and off, becoming brighter and darker independently. So yes, the robot designer can wink and there are lights on its front and side that can be lit in different colors. Dash can “talk in its own way” and listen. There are preset sounds from exclamations from “Yes” to animal sounds. You can burn your own, distorting them slightly into a tin squeaky falsetto to fit your own Dash. The choice of voice and manners – as well as some aspects of physical design. The robot designer can recognize clapping by ear to start commands in your programs (or you can adjust it with the help of a large button on the head), and you can detect obstacles in front of you. Dash usually slips around elegantly, but we have found a few shortcomings. These pre-installed models of movement sometimes require more space than my rather large front room for Moscow (Dash from the USA, where houses are usually more spacious and this space requires about 2 m x 2 m). His small wheels had problems with direct movements on a thin carpet, so he may have problems with thicker carpets. Do I need to buy a robot Dash? The answer is obvious. The battery charge lasted long enough for extended programming sessions, and it seemed that it was charging quite quickly. In the box, there are two ear clips with a Lego on top that allow you to attach the hats and carrying trays and everything that you think of. The Wonder workshop also sells a range of accessories for Dash, including Dot-companion, xylophone, catapult and more. I could not try them, but they look interesting – especially Dot to learn how programs communicate with each other. The Dash robot has apps for EveryWonder Workshop created four main apps for use with Dash – plus one specifically for the xylophone is iOS and Android. If your child has not used the application for coding before, you can start with Go and Line. If they used Scratch Jr, they are probably ready for Blockly. Go and Line is the simplest. Go (below) is a remote control that allows you to directly – that is, not in a programmed way – control Dash, turn its light on and off and make it talk. You can also run pre-programmed behavioral actions — small dance programs, etc. When using Go, Dash is more than just a renowned remote-controlled car, and this is a really good idea of what Dash can do for young children. Unfortunately, there is no version of this app for the Amazon’s Fire tablet, which is a shame, because sometimes my children really wanted to just run Dash around, playing in an imaginary way with their toys. With the help of the Line, you draw by hand the line of the path that you want Dash to move with as many cycles and rotations as you like. Dash follows a predetermined path, like a trained shepherd. You can add actions for Dash to perform along the way, which gently introduces the concept of a computer program as a series of linear actions programmed for different output data. After mastering the line, you can switch to Wonder or Blockly. The choice of algorithm depends on your children. Wonder is easier for most children, especially those who study best. Blockly is close to true coding. In this example (below), a block diagram of the nodes is used to build more complex programs. This is the model used in everything: from matching business processes to software used to create visual effects in Hollywood films, by mixing frames with CG robots, dinosaurs, explosions, etc. The movement diagram of the robot constructor begins with the triggers – start the program, touch the button, clap your hands. You connect them with nodes that represent actions or conditions, build complexity, and respond to incentives — looping back to yourself to create programs that never end but bring Dash to life as he continues to act and react when he encounters things in the world. Wonder more reflects the learning logic that underlies programming, than programming itself through code. However, abstract programming itself may be more useful for your child in the long term, because it encourages them to think about programs and platforms from a broad system perspective, rather than focus on the intricacies of specific programming languages that may be outdated by the time they are will grow up. You can share creations with other children online — although there is no connection between users. It’s great if your kids love to take apart other creations to see how they work. It may be useful for you if your children have already spent time studying something like Scratch Jr – Blockly. This is, in fact, a less complex version of Scratch – limited by the physical capabilities of the Dash robot. Unfortunately, this is where your ability to code Wonder Workshop applications with Dash ends. 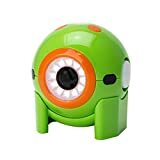 DO I HAVE TO PURCHASE A WONDER WORKSHOP DASH ROBOT? If you are not sure whether Dash will please your children, but many Wonder Workshop applications make it more likely, and at least one of them will force children to return to programming a robot designer, at least in the medium term. My wish for the project is a more advanced encoding application for Android / FireOS – and a larger house in the suburbs. The Wonder Workshop created a learning tool that my children found attractive, which helped spark the imagination of computer programming, and also gave them some insight into the technical side of this process. And after several months of semi-regular use, children are still interested in exploring the robot further. As a result of acquaintance with these robots, I was convinced that programming can be fun! The guys from Wonder Workshop were able to prove it with their beautiful interactive robots. Dash and Dot will be an excellent acquisition for your child, including the one that is hiding inside each of us. You can buy these cute robots right now on our website.